Mahindra & Mahindra, known for its utility vehicles (UVs), has seen competition surge, pulling down its market share. The company’s next bet is electric cars, but the government recently decided to drop the idea of an electric vehicle (EV) policy. 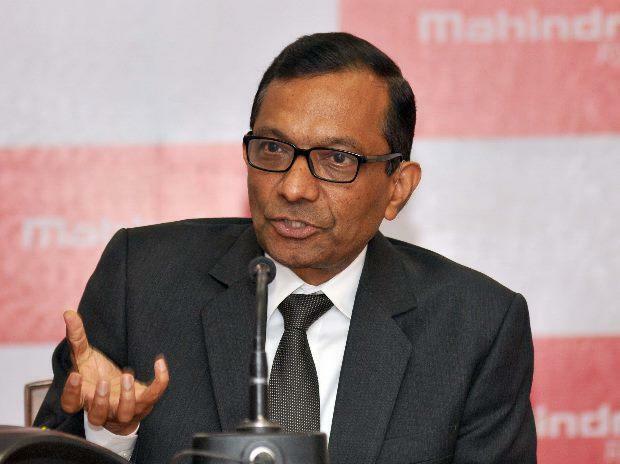 Pawan Goenka, M&M managing director, talks to Ajay Modi about the company’s market share and product plans. He says EVs need to expand gradually and a hundred per cent shift by 2030 is not possible. M&M’s passenger vehicle (PV) sales have grown at five per cent this year on a flat performance in FY17 against industry’s eight per cent growth. When will we see M&M grow in sync with, or even do better than the industry? Every company would aspire to grow more than the industry and we are working on that. It finally comes down to the products we have. This year, at least three products will be launched. Of these, two are in high-volume segments. There is a sub-four-metre SUV and a seven-seater vehicle. These are not replacing any products and these are segments where we don’t have an existing product. So, it will add to growth. We have a firm belief that in 2018, we will do at least achieve the industry growth rate. But our thought will be to go beyond the industry. With these products, will we see M&M reclaiming the market share it lost in the UV segment or even go back to number one in UVs? You must not look at UV segment growth in isolation. A lot of the growth is happening at the cost of passenger cars, which are growing at a slower rate. Many other players, when they grow in UVs, it is at the cost of cars. At Mahindra, there is no passenger car, so we cannot say we will grow at the cost of cars. Therefore, you need to look at our growth as PV growth and not as UV growth. The market share for UV now does not have the same meaning as it did five or six years ago because that time UV was a niche segment. Those UVs were traditional off-road vehicles. That definition has completely changed. Now many of the so called UVs are actually cars and the boundaries between UVs and cars have blurred. It is almost becoming meaningless to talk about UV market share. However, we are still sometimes one and sometimes two in UV segment. I hope to become a clear first again in UVs. But I don’t think we can go back to the kind of market share we had in the segment when it was a niche. Is one-tenth market share in domestic PV market possible for the company? I think isn't unreasonable to talk about it. Right now we are about 7.7 per cent. We are a clear number three but there is a big gap between one and two and between two and three, but those behind three are not very far (behind). The Indian market is very unique and the top four players account for 85 per cent share, while the remaining 13-15 players enjoy 15 per cent. What makes the farm equipment segment a bigger contributor to the company’s profit while being smaller in revenue? Every industry has a different profitability benchmark. The farm equipment industry globally is more profitable than automotive. On the farm equipment side, we are higher than the global profitability average and the same is case in the automotive business. But farm equipment profitability is higher due to the nature of this industry. Is the government’s decision to not bring an EV policy a dampener? I don’t think so. Now the government is saying that other technologies will co-exist even as it wants to promote electric vehicles. We know that shifting 100 per cent to electric vehicles is not possible by 2030. EVs have attracted lot of attention for a year now, but we don’t see any significant traction among buyers. Do you agree? I agree with this completely. I call 2017 the year of EV talk, where every publication talks about it once a week and hundreds of experts are suddenly born. The year 2018 has to become one of EV action. If 2018 does not see traction in EVs, then all interest will die. Nobody is going to keep pumping in money if volumes do not pick up. We don’t aim to see profitability, but at least the volumes must be there. I have set some milestones in my mind to define traction. Last year, around 1,200 electric cars were sold in India (of which 1,169 were Mahindra). I grew by 39 per cent but grew from 800 to over 1,100. This year, if we don’t end the year at about 3,000 cars a month (for the industry) then we can’t say that it is getting traction. We can think of 20,000 electric cars a month by 2020 for industry. Only then we can talk about all electric. Right now it is premature, as the volume is 100 cars a month. We hope this year one per cent of PV sales become electric, it goes up to two per cent next year and then three per cent and so on. If this happens, we can reach 13 per cent. We need to move gradually. No sudden magic will happen, making everything electric. When we talk of use of electric cars for Ola and Uber, does the range come as a limitation? Yes, it does. The ideal thing would be if they don’t require a fast charging during the day. That means the driver charges the vehicle at night, runs it for the day and again charges it at night. In cities like Delhi or Mumbai, that means a range requirement of 200 km on full charge. In a city like Nagpur, 140-150 km is needed. Range is a function of price. If I put a more powerful battery I can get higher range, but the cost goes up. How do we make a 200 km range affordable? At current costs, it is not affordable. Today, Ola and Uber would require a partial fast change during the day. If we can eliminate that charge the electric car becomes very attractive for their use. I hope we can do that within the next two years. What are the challenges of expanding sales network? What will the future direction be? Buying behaviour has changed drastically, especially among tech-savvy customers. They do significant research and know all about the car before they walk in. They don’t want to know the basics of the car from you. They want to experience the car and that experience can’t be always provided physically due to limited cars and space. We have a concept dealership using virtual reality for a digital experience. You feel like you are almost inside the car, with no salesman standing behind you trying to convince you to buy. With real estate costs (being) what they are, dealerships have become very expensive. Nobody can now afford to open a new dealership in metro cities and make money. Manpower is also becoming very expensive. You cannot now employ dozens of sales executives for selling. Bringing digital technology into sales is the future. Our first such digital showroom will be ready later this year in Mumbai and the second one will come up in Delhi.